The purpose of this study was to clarify the role of the intestinal anaerobe bacteria in colonization resistance. 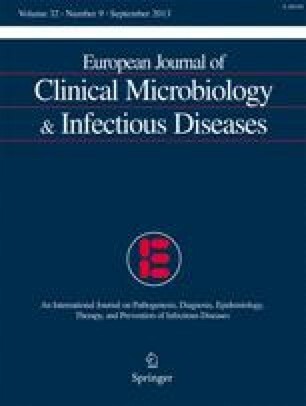 Germfree mice were associated withEscherichia coli C25 and either (a) no other species; (b) enterococcus; (c)Escherichia coli M14 andProteus mirabilis, or (d)Bacteroides fragilis andBacteroides vulgatus. All species colonized the cecum in high numbers, but only enterococcus significantly limited the translocation ofEscherichia coli C25 to mesenteric lymph nodes. However, the overall translocation rates were similar in all groups and ranged from 60% to 100%, due to translocation of other intestinal flora in addition toEscherichia coli C25. Conventionally reared mice were given either streptomycin, bacitracin/streptomycin or metronidazole which selectively eliminated facultative gramnegative bacteria, nearly all bacterial species or strictly anaerobic bacteria respectively. Only metronidazole significantly increased the rates of translocation of normal intestinal bacteria into mesenteric lymph nodes. Cohort groups of mice were then orally inoculated with drug resistantEscherichia coli C25, which actively colonized the cecum of all drug treated mice and translocated to the mesenteric lymph nodes of approximately half the streptomycin and metronidazole treated mice and nearly all the bacitracin/streptomycin treated mice. These results indicate that anaerobic bacteria play a pivotal role in limiting the translocation of normal intestinal bacteria, but that other bacterial groups also have a role in preventing the intestinal colonization and translocation of potential pathogens.